What might happen if pregnant mothers and expectant fathers learned to pray for their baby - even before its birth? 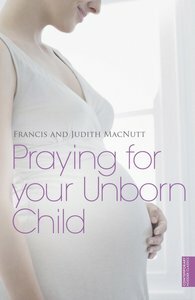 Francis and Judith MacNutt believe that if enough couples start praying for their unborn children a gentle revolution will take place. Those children will become more disposed to love God, happier and more secure. A practical book filled with helpful advice and case studies, now reissued with a new cover. About "Praying For Your Unborn Child"